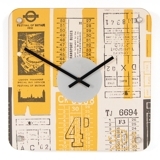 Tell the time with the help of this stunning designer clock. 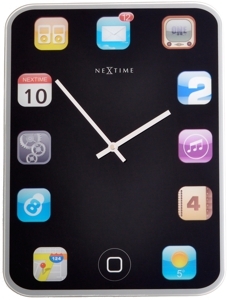 This iconic clock replicates the design of the Apple iPad and uses variations of the well-known apps for the hour marks. Each app appropriately resembles the number of the hour and is neatly pointed to by stark white hands that contrast wonderfully on the black face. The Nextime Wall Pad Clock makes a fantastic gift for anyone who loves their technology and makes a lasting impression on any wall. Perfect for the study or office!